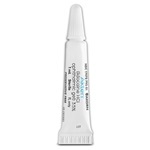 Sterile Akten lidocaine hydrochloride 3.5% gel in a 1ml tube. Preservative free. Manufactured by Akorn. NDC Number: 17478-792-01. Comes as singles. 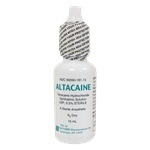 Sterile local anesthetic, Altacaine tetracaine hydrochloride 0.5%, 15mL in a dropper bottle is a topical ophthalmic solution useful in producing surface anesthesia of the eye. Manufactured by Altaire. NDC Number: 59390-181-13. Comes as singles. **THIS ITEM IS CURRENTLY ON BACKORDER. 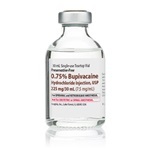 ** Injectable local anesthetic Bupivacaine HCI 0.75% (7.5 mg/mL), in 10mL single dose vial. 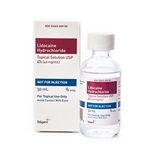 Preservative free parenteral solution. Manufactured by Hospira. NDC: 00409-1165-01. Comes 25 per box. **THIS ITEM IS CURRENTLY ON BACKORDER. 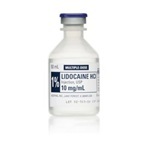 ** Injectable local anesthetic lidocaine HCI 1% (10 mg/mL), in 2mL ampule. Preservative free parental solution. Manufactured by Hospira. NDC: 00409-4713-32. Comes 50 per box. **THIS ITEM IS CURRENTLY ON BACKORDER. 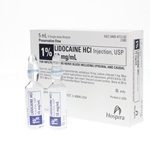 ** Injectable lidocaine HCI 1% (10 mg/mL), in 5mL Ampule. Preservative free local anesthetic. Manufactured by Hospira. NDC: 00409-4713-02. Comes 25 per box. **THIS ITEM IS CURRENTLY ON BACKORDER. 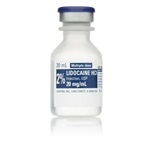 ** Injectable lidocaine HCI 2% (20 mg/mL), in 10mL ampule. Preservative free epidural solution. Manufactured by Hospira. NDC: 00409-4282-02. Comes 25 per box. **THIS ITEM IS CURRENTLY ON BACKORDER. 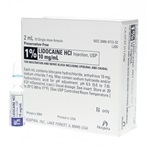 ** Injectable lidocaine HCI 2% (20 mg/mL), in 20mL multi dose vial. 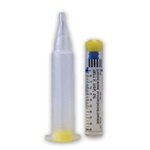 Plastic flip-top vial with dark blue cap.Used as infiltration and nerve block. Manufactured by Hospira. NDC: 00409-4277-01. Comes 25 per box. **THIS ITEM IS CURRENTLY ON BACKORDER. 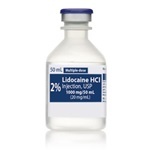 ** Injectable lidocaine HCI 2% (20 mg/mL), in 5mL multi dose tear-top vial. 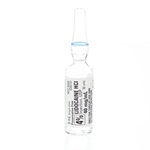 Preservative free antiarrhythmic agent with a silver cap. Manufactured by Fresenius . NDC: 63323-0208-05. Comes 25 per box. **THIS ITEM IS CURRENTLY ON BACKORDER. 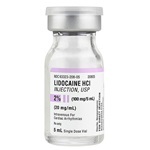 ** Injectable lidocaine HCI 4% (40 mg/mL), in 5mL ampule. Preservative free parenteral solution. Manufactured by Hospira. NDC: 00409-4283-01. Comes 25 per box. **THIS ITEM IS CURRENTLY ON BACKORDER. 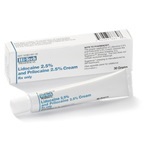 ** Sterile topical Lidocaine HCI 2% gel in 30ml tube. 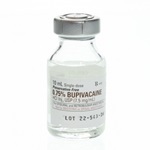 Aqueous product that contains a local anesthetic agent and is administered topically. The onset of action is 3 to 5 minutes. NDC: 17478-0711-30. Manufactured by Akorn. Comes as singles. **THIS ITEM IS CURRENTLY ON BACKORDER. 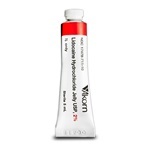 ** Sterile topical Lidocaine HCI 2% gel in 5ml tube. 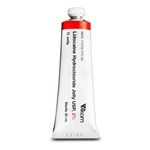 Aqueous product that contains a local anesthetic agent and is administered topically. The onset of action is 3 to 5 minutes. NDC: 17478-711-10. Manufactured by Akorn. Comes as singles. 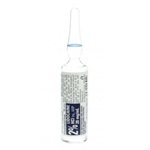 Local anesthetic URO-Jet Lidocaine HCI 2% (20 mg/mL) jelly, in 10mL prefilled syringe. Preservative free mucous membrane. Manufactured by International Medication Systems. NDC: 76329-3013-05. Comes 25 per box. **THIS ITEM IS CURRENTLY ON BACKORDER. 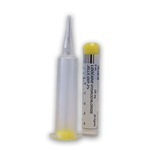 ** Local anesthetic URO-Jet Lidocaine HCI 2% (20 mg/mL) jelly, in 5mL prefilled syringe. Preservative free mucous membrane. 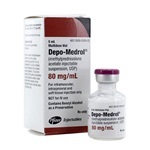 Manufactured by International Medication Systems. NDC: 76329-3012-05. Comes 25 per box. **THIS ITEM IS CURRENTLY ON BACKORDER. 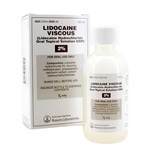 ** Oral local anesthetic Lidocaine HCl 2% solution in 100 mL bottle. Manufactured by Roxane Laboratories. NDC Number: 00054-3500-49. Comes as singles.